that he brought back in 1964. ​interested in finding out my about it. 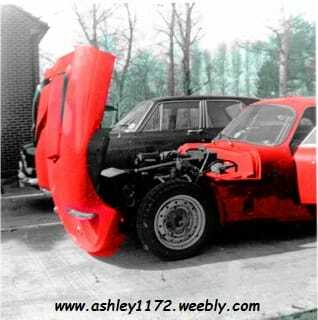 that he would post them to me with more details of mods during his ownership. Below is his reply and photo's to illustrate the text. 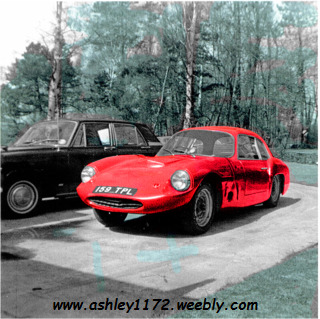 I purchased the car around 1964 from a man living in Cookham, Berkshire, UK, the Registration was first issued by the motor tax authorities in Surrey in 1961 and this would tend to stack up with the condition of the vehicle. 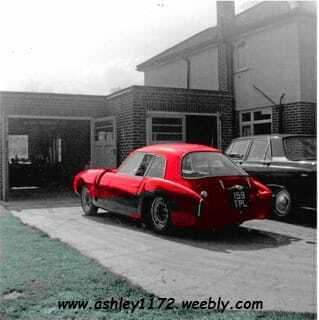 I paid around £100 for the car which was quite a lot of money back then, but as there were very few sports cars around for an 18 year old, I felt pretty good driving it the 5 miles home! 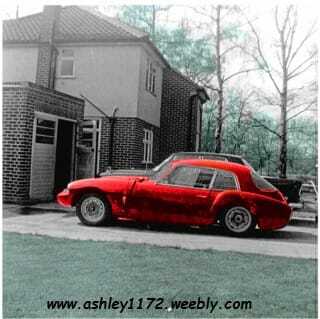 The car needed an engine rebuild, respray, new tyres and general tidying up. This I completed during the next 12 months. The car was resprayed bright Red, we replaced the headlining (never use Evo-stik glue working inside a car parked in a garage, better than 12 cans of Fosters). 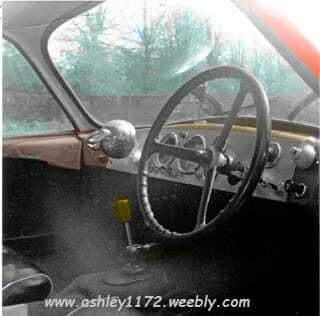 The dashboard was fitted with additional instruments and was covered in a brushed Aluminium panel, the dash also had the addition of a hand Rally lamp, which were very popular at the time. On the mechanical side the car suffered from overheating which we traced to the header tank being mounted too low. To cure this we removed the 12 volt battery and built a box in the passenger foot well to house it. we then moved the header tank to where the battery had been located in the bulkhead and that cured the problem. During this period, my late father was with the Ford Motor Company Truck and Van plant at Langley, near Slough. on the same site Ford had their reconditioning operation where they remanufactured engines and gearboxes to sell as exchange units. We were able to call on their expertise to sort out the 1172cc side valve engine. As you can see from the photographs the car was fitted with a freeflow exhaust manifold ending in a straight through side exhaust which managed to startle a few of the old dears in Maidenhead High Street! 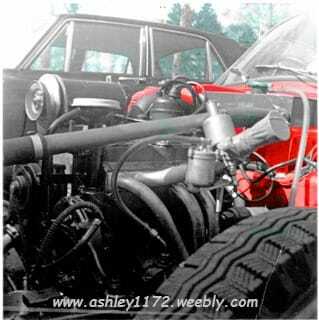 The car had the original rod brakes and they operated OK provided they were adjusted correctly. On the original road test the car was very quick for it's day, but the road grip was poor and we remedied this by removing the cross ply tyres and replacing them with Michelin X's. the previous owner had fitted VW wheels in lieu of the regular 17/18" original's. I kept the car for around 3 years, it was then sold to someone in the Oxford arrea for around £250, it is one of the few cars I have made a profit on. If 159 TPL still exists, it may have had a change of registration mark, my entry in the log book would be Tethers End, Sheephouse Road, Maidenhead. or use the contact page on this site to contact me.